Check out the Book Interviews page for audio excerpts from a lunchtime pub conversation with Wilkie Martin, author of the four books in the “Unhuman” trilogy, (yes, you read that right). 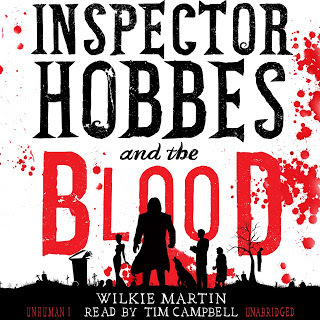 All four novels have been recently recorded and the first two, ‘Inspector Hobbes and the Blood’ and ‘Inspector Hobbes and the Curse’, are now available on Amazon, Audible, iTunes or from library audiobooks. They are narrated by Tim Campbell, an award winning audiobook narrator and actor.